Hello, all! I’m messing around again with trying to recreate Photoshop effects in Procreate. This time, I’m doing words created out of standing water! In this tutorial, we’re going to get really familiar with the layer menu. Especially the option farthest to the right: Select Contents. Learning about this option is going to open up lots of new experiments for me. (We’re also going to get quite a bit of use out of the Clear option here.) And as always, we’re going to create new layers for pretty much every. . . Read More! Well hello, all! It’s been quite a while. The blog is taking a bit of a pivot, and I’ll hopefully be posting more frequently with more illustration, lettering, craft, and other artsy-fartsy things. I’ve been playing around with an iOS app called “Procreate” lately (yes, I also think the name is vaguely unsettling). 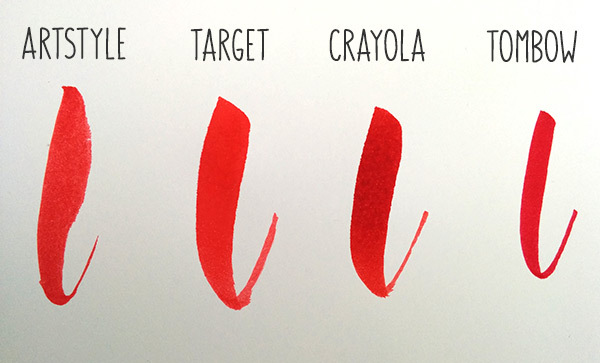 It’s fabulous for all sorts of art, and I’ve used it for both cartooning and lettering projects. 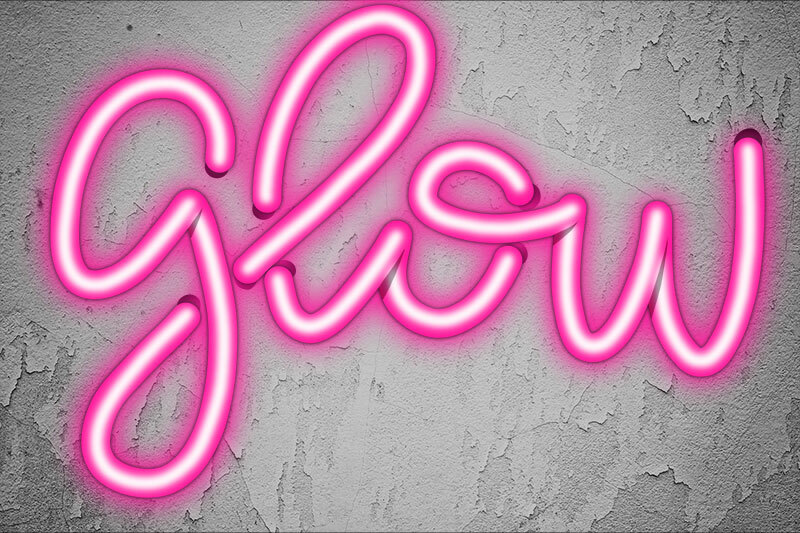 I’ve been thinking about trying to re-create some of the text effects I can get in Photoshop, and this is. . . Read More! I’ve been working on my hand-lettering lately; I’ve always been able to do several types of regular handwriting, but now I’m getting fancier, so I can fold that skill into my graphic design portfolio. 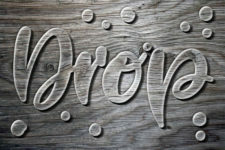 (Did you know that there’s a whole handlettering / calligraphy community out there? Tons of great stuff to check out. The Instagram hashtag “#handlettering” alone has almost two million entries.) I’ve acquired a few brushes and pens, most of them on the cheaper side, to see what I like. In my quest to find something that. . . Read More! I’ve been upping my art lately, now that I have a permanent home where I can unpack all of my supplies, and a nice big desk with good lighting to work at. 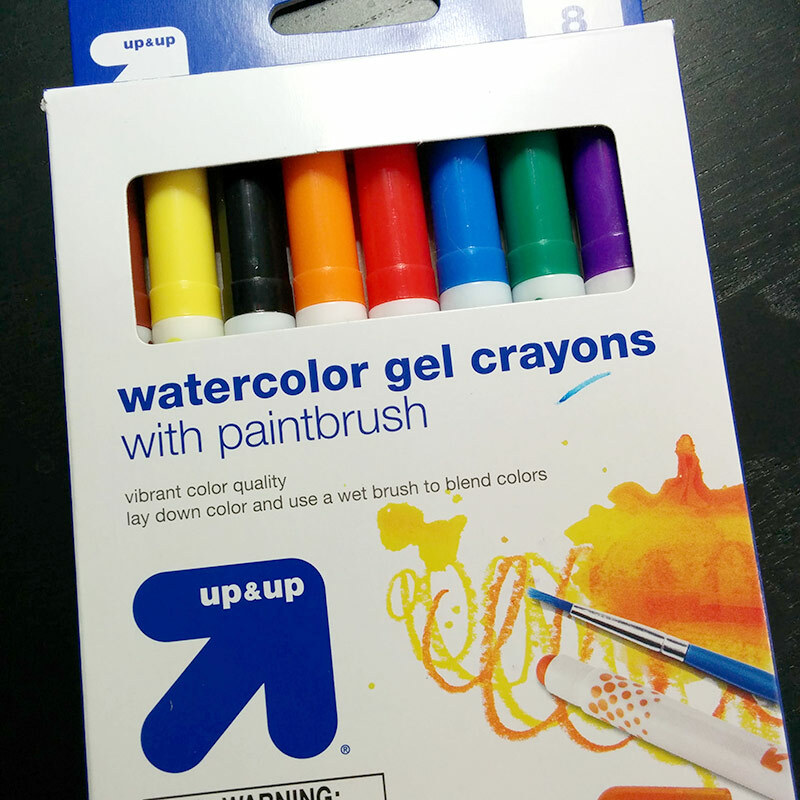 The other day at Target, I spotted a product that baffled me, so I had to check it out: Watercolor gel crayons? What the heck are those? The instructions on the box make it seem simple enough, and they were less than four dollars, so why not give ’em a shot? The tips are rounded and kind of. . . Read More! 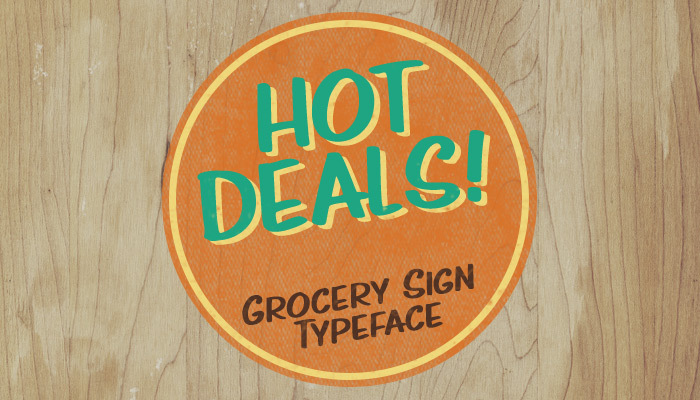 More fonts, now available at FontBundles! 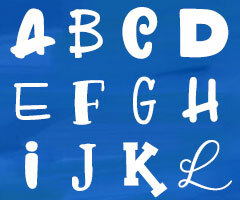 As previously noted, I’ve been making more fonts. Here are a couple of fresh ones! I have a portfolio of all of these fonts over at Behance, but they’re also being picked up by a few sites that specialize in providing fonts, or graphic design elements, or both. One of my favorites is FontBundles.net — they have great bundles of really nice fonts to buy, and enough great individual fonts that a fontaholic could go broke, but they also do a free premium font every week! They’re carrying my most. . . Read More! It’s been a while since I’ve posted here! (Although, of course, I post every day over at Holiday Doodles.) I’ve been busy with graphic design school, and work, and not only did we move across the country back in September, but we also then bought a house and moved again in January. So it’s been a busy first quarter of 2016! 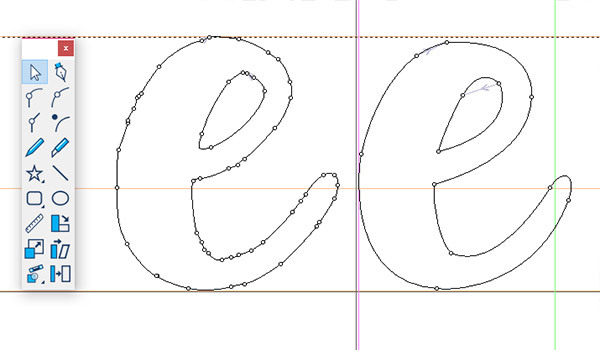 As a birthday present to myself, I got some font creation software. There are programs out there that cost upwards of $500, and are apparently the gold standard for. . . Read More! 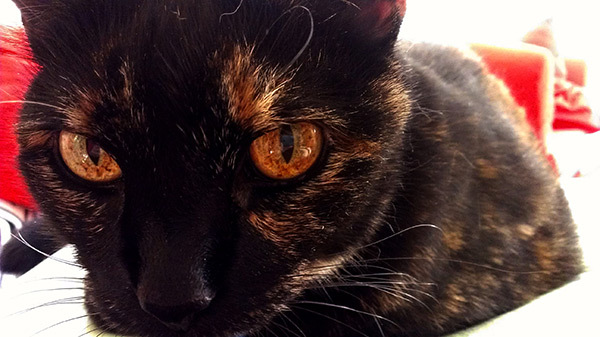 Last week, we had to have our wonderful, cranky, crotchety 17-year-old cat, Trouble, put to sleep. We got Trouble way back in 1998 at Seattle Animal Control. We wanted to get a companion for Commie, and as always, decided to let the cat choose us. 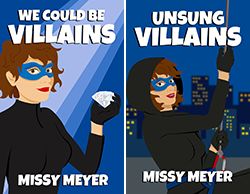 Or choose me, as it turned out — we passed by Trouble’s cage (marked with the temporary shelter name “The Little Ninja”), and she reached through the bars and grabbed at me. From that moment on, she was very much my cat. She didn’t mind. . . Read More! I’m loving the exotic hair color, but what I’m not loving is how fast it fades. 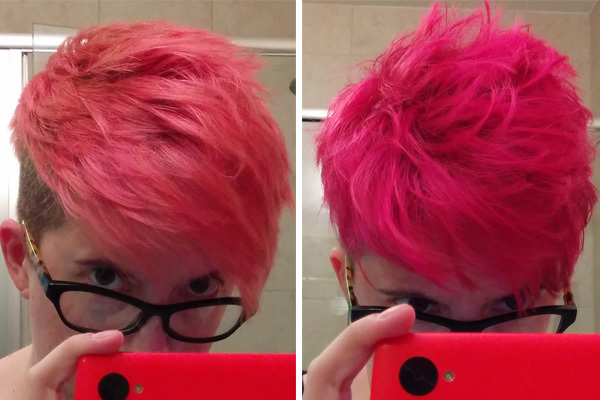 Three weeks in, and the bright pink made it to a salmon-ish color, thanks to the pink fading and revealing the orange undertones of my bleached hair. 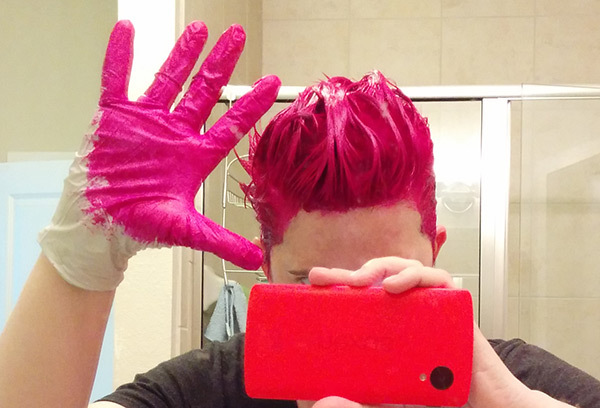 I used the second half of the tube of magenta and left it on for a good two hours, so I’m freshly fluorescent again. I’m thinking once this pink fades, I’ll make my way to purple, then from there to blue. I figure as my dark roots. . . Read More! The day after Disney, I dyed my hair pink. I’ve been looking forward to this for months. I have only colored my hair a couple of times since starting with the mouse over eight years ago, and even then it had to be a natural-looking color. I missed the crazy shades! I mostly used to do reds and oranges, or just bleached blonde, and thought about those colors this time around. But I finally decided that I’d do a color I’ve never done before: pink. To start with, here’s a before picture: With extra bonus helper sink cat! On. . . Read More! (Title sung to the tune of “Tiny Bubbles,” which is totally stuck in my head right now.) So while reading an article on BoingBoing the the other day, I experienced that thing where you go from not knowing an item exists to wanting it desperately, all in a span of 30 seconds. 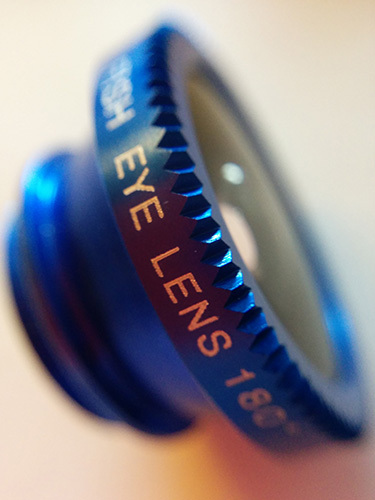 The item in question: a set of tiny clip-on lenses for your cell phone. Immediately, I dashed over to Amazon. The author of the BoingBoing piece had ordered his set for about three bucks, but they took a. . . Read More!